Thanos Papadimitriou joined New York University Stern School of Business as an Adjunct Professor of Information, Operations, and Management Sciences in 2017. Professor Papadimitriou specializes in Technology Management and Entrepreneurship. He has published articles and contributed book chapters in the areas of data inventory management, social media networks, illegitimate trade, and other related topics. 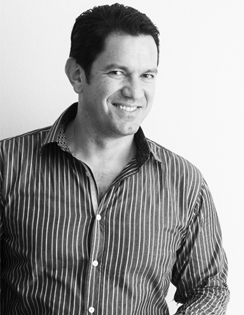 In addition to his academic experience, Professor Papadimitriou has 20 years of field experience, first as a consultant with Cambridge Technology Partners and subsequently as the founder or co-founder of a number of US and EU-based companies, including AlphaDetail, mbriyo, giaola, and M2Cmedia. Most recently, he was the founding partner of Charge Ventures. Professor Papadimitriou received a B.Sc. from the Massachusetts Institute of Technology in Computer Science, an M.S. in Computer Science from the University of California – Los Angeles, and a Ph.D. in Operations and Technology Management from the UCLA Anderson School, the latter with the aid of an Onassis scholarship.